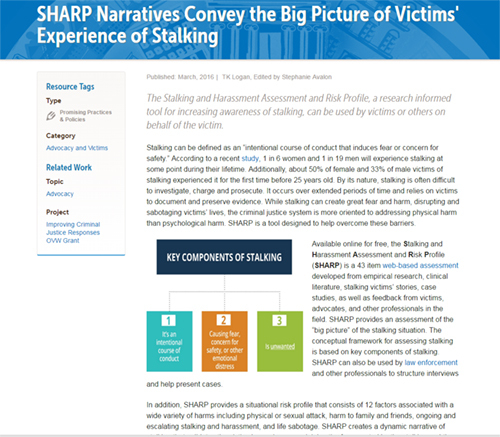 The Stalking and Harassment Assessment and Risk Profile, a research informed tool for increasing awareness of stalking, can be used by victims or others on behalf of the victim. 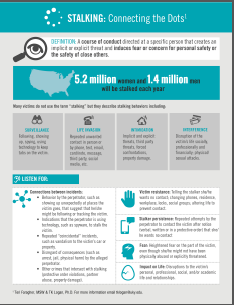 For a quick reference on stalking check this out! 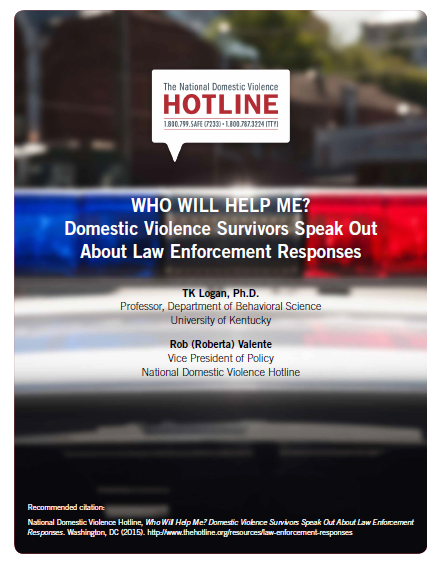 LEXINGTON, Ky. (April 10, 2015) — TK Logan, professor in the University of Kentucky Department of Behavioral Science and the Center on Drug & Alcohol Research, and a team of researchers recently launched an online assessment for victims of stalking and harassment.